The North 41 - Founders Brewing Co. 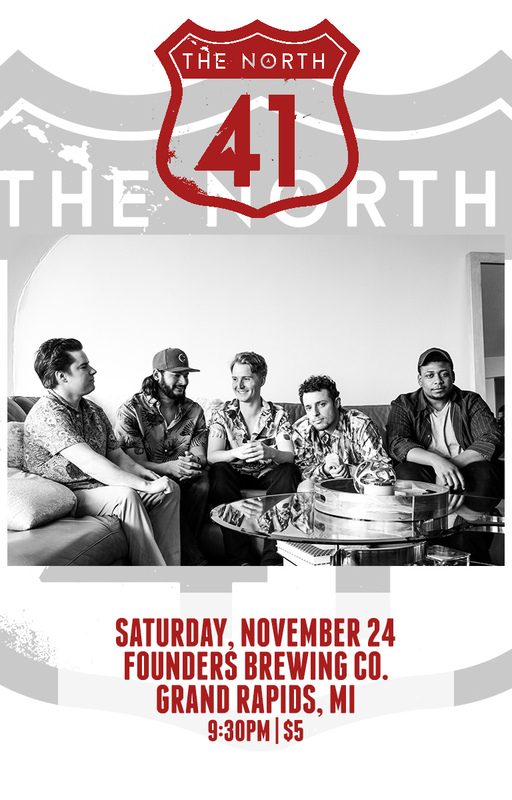 The North 41 is a dynamic blend of rock, funk and jazz, with the danceability of pop music and sophisticated musicianship that keeps audiences grooving. JC Brooks, Aqueous, Jim Peterik and the Ides of March, March Fourth, Joe Hertler & the Raibow Seekers, Andy Frasco, Jimkata, The Magic Beans, .38 Special, The Main Squeeze, Big Sam’s Funky Nation, Ripe & Many More!